David Sonsteng knows emergency rooms inside and out. He has cared for countless kids in his six years as an emergency medical technician (EMT), and the father of three — ages 3, 5 and 7 — has visited the ER nearly 25 times as a parent. Whether because of flu season, a sports injury or an ongoing medical issue, many children eventually visit the ER. Advance planning helps make the process more efficient and productive — and much less scary. Tyler Hefford-Anderson, of Des Moines, Wash., heard a crunch when his son fell off the monkey bars and broke his arm. Since his daughter had previously suffered a hairline fracture, he knew what to do. They headed to the ER immediately. “We’re prepared and know how to handle it. It’s like smoke detectors or car insurance: You may not need it, but it’s better to be safe than sorry,” says Hefford-Anderson, who is the dad of four, ranging from a 5-month-old to a teenager. Medical professionals encourage families, especially first-time parents, to educate themselves in advance. During a routine pediatrician visit, schedule a discussion about the phases of childhood, common emergencies and what is normal versus abnormal. “Families should be proactive with their medical care. Partner with your primary-care provider and create a game plan: options, where to go, their general suggestions. They’re your first conduit to care and can help you understand the system,” says Tony Woodward, M.D., chief of emergency medicine at Seattle Children’s Hospital. According to Dr. Woodward, thinking ahead is particularly important if a child has chronic issues, such as a heart problem, asthma, diabetes or another condition that increases the risk of an ER visit. A pediatrician can also advise when routine ailments — such as seasonal flus, sore throats and colds — require emergency care. Planning ahead yields more productive and less scary ER visits. Be prepared, but bring only what’s manageable. Do not bring valuables or anything you would be distressed to lose. 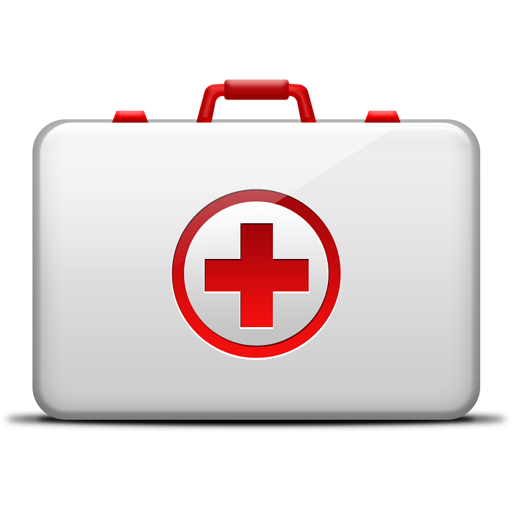 • Copies of the list you already have on file providing emergency info and health details: medications, allergies, etc. • If you can, bring the product that may be responsible for a possible poisoning: pills, household cleaning products, etc. • If your child is in a physically altered state — swelling, bruising, rashes — it can be helpful to bring a picture of how she normally looks. • Crayons; coloring, activity or picture books; unobtrusive toys (inexpensive ones, in case they get lost); stuffed animals; movies and games to watch on mobile devices. • Nonperishable snacks, such as animal crackers, that aren’t too messy and don’t require utensils; single-serving snacks, so you won’t need to serve food. Important: If the cause of your child’s emergency is undetermined, do not feed him unless a medical professional confirms it’s OK to do so. • Sweaters or blankets for kids and adults. • If you anticipate an overnight stay, consider pajamas, socks and a toothbrush. • Chargers for your phone, laptop and mobile devices. • Paper and pen to take notes. • Address book, in case you need to make personal or professional calls to provide updates. Thanks to urgent-care facilities, parents have more options for where to go in a crisis. But how do such clinics differ from emergency rooms? ERs, on the other hand, handle unmistakable emergencies — severe trauma, bleeding and difficulty breathing — as well as situations that require extensive testing or invasive treatment. However, the ER also addresses urgent-care issues if it’s the only open or accessible option. “For viral illnesses [such as flus], we should probably see them in the ER if a child is having trouble breathing, can’t keep food down for over 12 hours [or] has altered behavior, hallucinations or fatigue that’s beyond normal when you’re sick,” says Kathleen Goetz, M.D., director of pediatric emergency services at Swedish Medical Center. 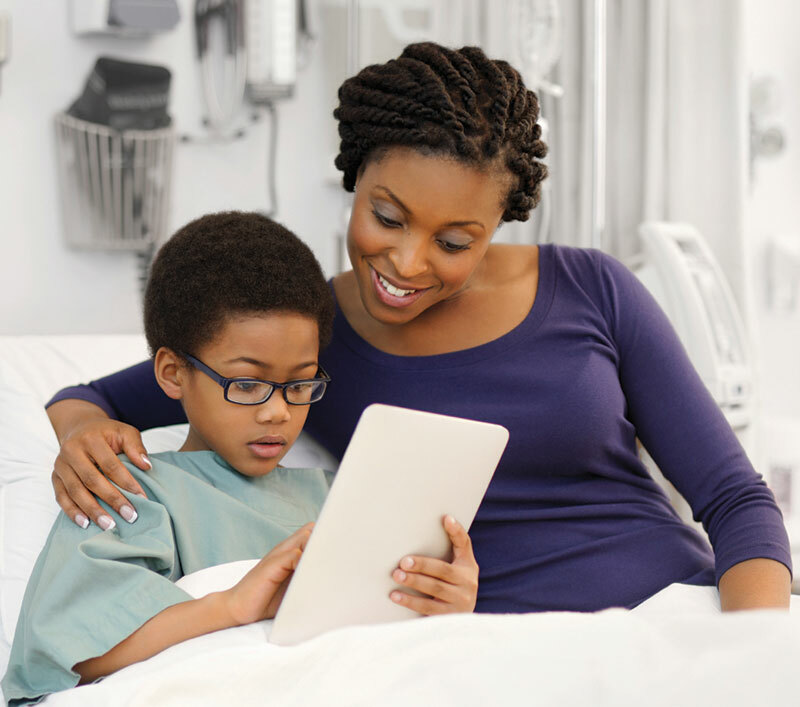 Local hospitals, such as Seattle Children’s and Swedish, offer online fact sheets listing symptoms and conditions with corresponding recommendations for urgent care or the ER. Dr. Marshall also advises checking out tools such as the iTriage app for smartphones, which provides information covering thousands of medical situations. If the choice remains unclear, call 911. Staying cool and focused ensures better communication with child patients and medical professionals in an emergency. Professionals recommend keeping a handy list of emergency information: your child’s over-the-counter and prescription medications; environmental, food and pharmaceutical allergies; and basic health history and vaccinations. Additional details could include contact information for a pediatrician and a local pharmacy. Sonsteng suggests saving this list on a computer and printing multiple copies for anyone treating your child, from first responders to nurses and doctors, to avoid the stress of losing the original. General health impressions are also helpful: what the child recently ate, amount of fluids consumed and bowel movements. If the child spent time with another caregiver prior to an ER visit — grandparent, stepparent, daycare provider, babysitter — consult with them. A happily distracted child, whether it’s the patient or a sibling, is more cooperative. As parents, both Sonsteng and Hefford-Anderson always have activities on hand: crayons, books, disposable toys, games and mobile devices for watching movies. Hefford-Anderson also stashes healthy, nonperishable snacks to avoid cafeterias, vending machines and hungry, cranky toddlers. “I don’t emphasize how things are different. I want to provide normal activities, even though it’s an abnormal situation,” Hefford-Anderson says. When it’s time to see the doctor, encourage children to share as much as possible. Do not associate an ER visit with punishment. Pediatric ERs, such as those at Swedish’s downtown location and at Seattle Children’s, specialize in children and advocate including them in the treatment process. General ERs provide competent care, but they are not always accustomed to interacting with kids. Dr. Woodward echoes the sentiment that families should feel involved. Participation usually yields the best results. “We encourage families — parents and children — to feel empowered and to speak up. Outcomes are so much better when we work as a group,” he says.